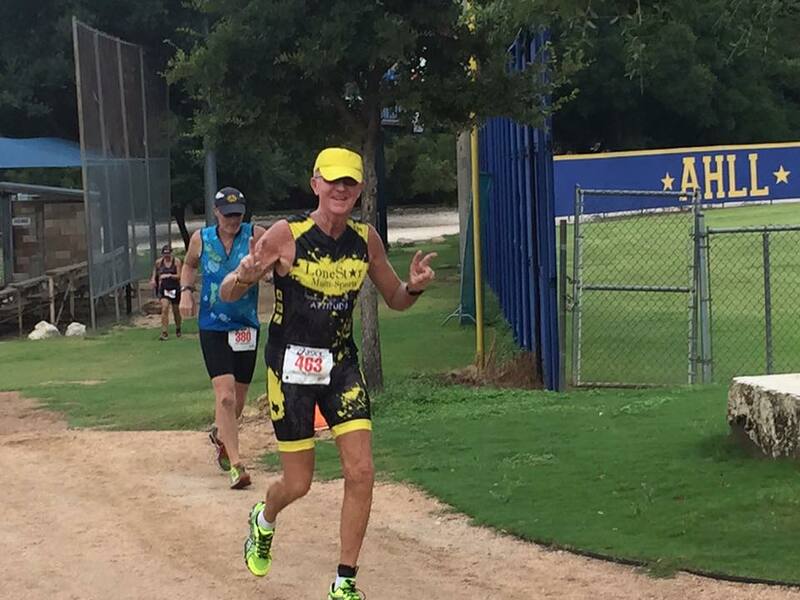 San Antonio, TX – On June 17, 2017, Bob Byard competed in the US Triathlon Duathlon in Oregon consisting of a 10K run, a 40K bike ride (about 25 miles) and a final 5K run. His 11th place finish in his age category qualified him for a spot on Team USA for the 11th time and another trip to the International Triathlon Union World Championship next July in Denmark. Byard reached the milestone a month shy of his 74th birthday, and a little more than a year after completing two major back surgeries to fuse vertebra in his lower back. For his outpatient rehabilitation, Byard turned to noted sports medicine experts Dr. Annette Zaharoff and Julie Barnett, Doctor of Physical Therapy, at the Non-Surgical Center of Texas (www.DrZMD.com). He also has sought their help for hand pain, back pain and recovery from shoulder surgery. “Bob is a hard worker and has always been very motivated in his rehabilitation program to get back to his best. We are proud of how much he has accomplished and are glad we have been part of his rehab team” says Dr. Zaharoff. For Byard, multisport competitions like Ironman triathlons and duathlons are not just hobby – they are a second career. Byard spent 34 years in the Air Force, serving in the enlisted ranks and as an officer before retiring at the rank of lieutenant colonel. Today, he trains weekend warriors and serious amateurs and is certified as a coach by USA Track and Field, USA Triathlon, the American Swimming Coaches Association and USA Cycling, along with being a certified personal fitness instructor. Later this year, Byard plans to compete in a sprint triathlon and an Olympic triathlon, and is eyeing a half Ironman triathlon in Cuba next February. Byard started running seriously in his 30s and turned his attention to triathlons and other multisport events in his 50s. He has competed in “too many half-marathons and duathlons to count,” and 14 Ironman competitions, including grueling events in South Africa, Australia, Korea, Brazil and Switzerland. He keeps track of those by adding a new kick-mark tattoo to the back of his left calf for every Ironman he completes. On his right calf is the logo of the International Triathlon Union and 10 kick marks for the 10 times he has represented team USA. The 11th kick mark will be added soon. Byard also is a paramedic with the Bulverde Spring Branch Fire and EMS. You can learn more about Byard’s multisport coaching business at www.lonestarmultisports.com. Dr. Annette “Dr. Z” Zaharoff heads the Non-Surgical Center of Texas, focusing on non-surgical treatments to relieve pain and repair injuries. A former professional tennis player who competed on the WTA circuit, Dr. Zaharoff has been utilizing regenerative injection treatments including Stem Cell Therapy, Platelet Rich Plasma (PRP) and Prolotherapy injections for more than a decade. Learn more about her at www.drzmd.com. You can follow her on Facebook at www.Facebook.com/DrZaharoff.